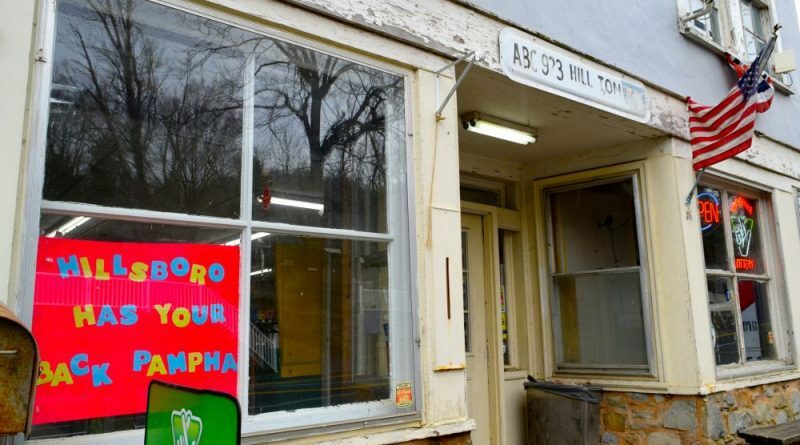 Four years after a West Virginia man allegedly robbed Hillsboro’s Hill Tom Market, his case is being sent to a grand jury while his victim is getting more community support than she could have asked for. Prosecutors allege that in January 2015, Dale Mainhart, 37, walked into the market, pointed a gun at a Nepalese-immigrant and 10-year market employee named Pampha and demanded she hand over the around $350 in the cash register. After an hour and a half of testimony from five witnesses on Tuesday, Loudoun District Court Judge Dean Worcester determined there was enough evidence to send the case to a grand jury. If indicted when the grand jury meets next week, Mainhart’s case will move to the Circuit Court for trial. A resident also provided the Sheriff’s Office with footage of the getaway car from the video recording on his home security cameras. The footage showed an SUV accelerating westward along Rt. 9 about a quarter mile away from the market. Worcester deemed that footage to be adequate evidence although the time stamp was 2 hours and 53 minutes off. A former Sheriff’s Office detective also testified that she photographed the camo ski mask and pack of cigarettes 19 days after the robbery at the West Virginia home where Mainhart had been living the time of the robbery, and that she also photographed the alleged getaway car at Two Twisted Posts Winery about five miles northwest of the market. Mainhart faces two felony charges—robbery and use of a firearm in committing a felony. Prosecutors opted to not to pursue a third felony charge, possession of a firearm by a convicted felon. Councilwoman Claudia Forbes also attended Tuesday’s preliminary hearing to let Pampha know that she was there for her. Forbes said that because “everyone knows everyone” in Hillsboro, this kind of support isn’t uncommon. “This is the way it works here,” she said. Cutshall said that it was important for people to know that Hillsboro residents aren’t going to put up with criminal activity, especially when criminals use weapons to scare victims. She said that while the market has been broken into and robbed before, Mainhart’s hold up was the “most egregious, violent and violating kind of situation” that’s ever happened there, and that she’s thrilled someone is standing trial for it.